We deliver impeccable services and well researched and planned out tour itineraries to the tourists from across the globe. Abiding by our Corporate Philosophy, which quite simply put is "Give the customers what they ask for...pure travel entertainment with complete piece of mind", we consider the feedback from our clients very seriously and keep striving to offer them a hearty travel experience. Our extensive network of field agents spread across all corners of the Indian Subcontinent ensure that our client’s trips are absolutely hassle-free enabling them to enjoy an incredible experience of the rich cultural heritage and geographical diversity of this magical land called India. Our unending clientale and an ever growing list of satisfied tourists are ready facts to support our stand. 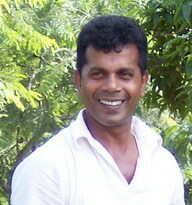 I am Raja Ranasinghe of Indigo Lanka from Sri Lanka, with 14 years experience as a tour Guide. Sri Lanka is a nice and Beautiful country. We are one of the travel agencies, but our professional and personalized services makes us different from others. We handle an extraordinary range of activities including transportation and accommodation, unique program, special tariff, individual and group incoming travels, congress, conference, incentive tours, all inclusive tours, special interest tours, hobby tours, business travels, riding, trekking, car rental and air ticketing. We at Indigo Lanka act as organizers and agents for tourist activities. and we have very compatible car, van and bus. So just leave your plans to us and let us be your host and guide, to explore the beauty and culture of Sri Lanka. Our multilingual and friendly guides will make your trip comfortable, enjoyable and memorable package tour (your choice) totally we offer you a complete package on arrive to departure. With our customer-focus approach, coupled with knowledgeable and innovative human power, we aspire to be the epitome of success in the travel and tourism industry,catering to clients from across the globe. Through our efforts in living up to the expectations of our clients by providing enriching holidays of the highest standards, we are moving towards becoming one of the leading tour operators. We at the Indigo Lanka are committed to establish the brand quality as an organization of trust, providing reliable and quality travel solutions to meet all the said and implied needs of the customers, achieving optimum customer's satisfaction through highly motivated employees' involvement and established continually quality management system.